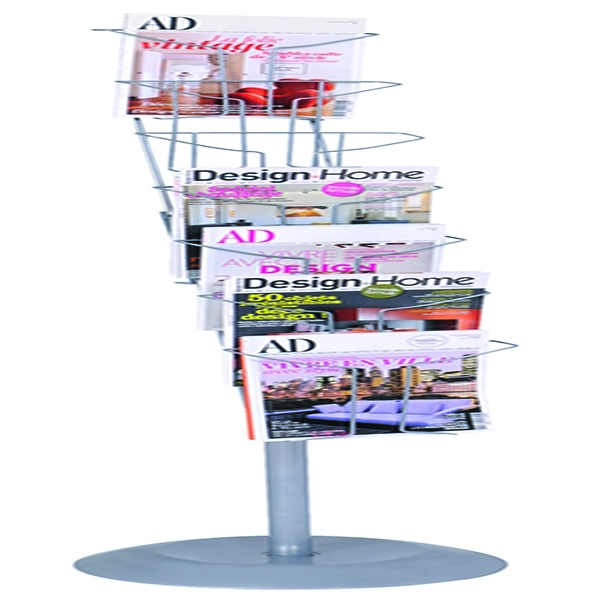 Alba Floor-Standing 7-Pocket Literature/Magazine Display DD7S – ALB00768 – OfficeYoo! Perfect for use with magazines, corporate literature and brochures, the Alba Floor Standing Display is great for all businesses. You can encourage visitors to learn more about your business using the seven pockets for A4 literature and magazines.Manufactured from durable metal, this product can be used again and again without any deterioration in quality. The design is well balanced with a heavy base to help prevent knocking it over accidentally.